The Chiefs Alumni Programme have successfully raised $20,314.75 following the rewarding Chiefs Alumni Golf Day and the auctioning of the 1996 Gallagher Chiefs heritage jersey’s worn by the Gallagher Chiefs team who played the Hurricanes on Friday 15 March. The Chiefs Alumni golf day held at Ngaruawahia Golf Club was one of two functions held for the Alumni, with the second an evening at their old stomping ground FMG Stadium Waikato, cheering on the Gallagher Chiefs against the Hurricanes. It provided an opportunity for former Gallagher Chiefs players, management and staff to connect with stakeholders and reconnect with former team mates and management. Michael Collins, former Gallagher Chiefs captain and Chiefs Rugby Club CEO said it was fantastic to see the support for the programme and have people get in behind the day. All 1996 Gallagher heritage playing jerseys worn by the Gallagher Chiefs from their recent match against the Hurricanes were signed by the respective player and auctioned off on Trade Me, in hospitality lounges and to sponsors. Collins said the fundraising efforts were outstanding and credited the contributions made by alumni members, current players, fans and sponsors. 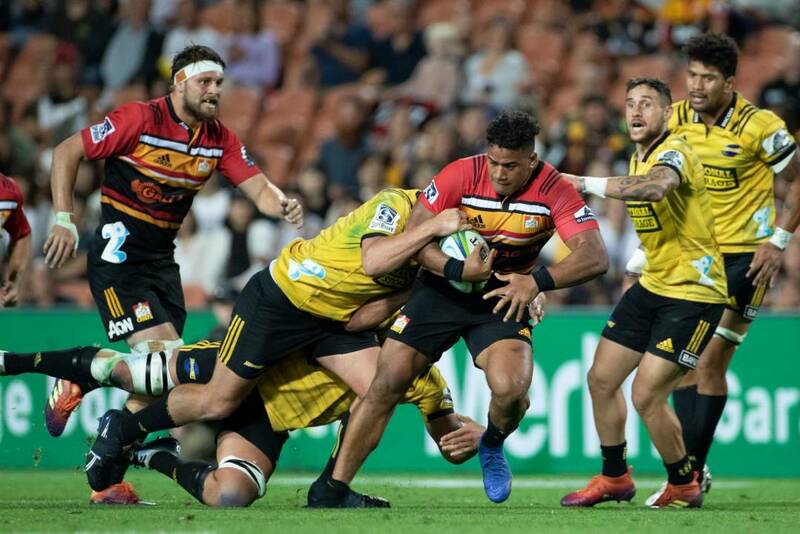 The Chiefs Rugby Club Alumni programme was established in 2017 by Gallagher Chiefs players Brodie Retallick, Stephen Donald and former Co-Captain Liam Messam. The main purpose of the programme is to raise funds for Alumni members and their families who may fall on hard times or need financial assistance accessing personal or professional development tools. In addition to this the programme provides an opportunity for former players to maintain their connection with the Club through networking and functions.